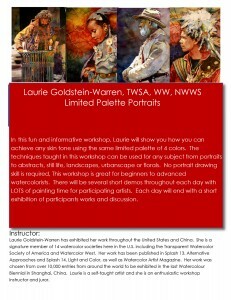 LIMITED PALETTE PORTRAITS: I am currently offering a limited palette portrait workshop. No portrait drawing skill is required.I provide all sketches ready to transfer onto your watercolor paper. I welcome all levels of watercolorists. In this fun and informative workshop you will learn to expand your painting skills by limiting your palette. All skin colors and tones can be achieved with the same four colors. This method can be used for any subject, portraits, still life, landscapes and abstracts. Sign up with the contact person listed above today. I would love to meet you. 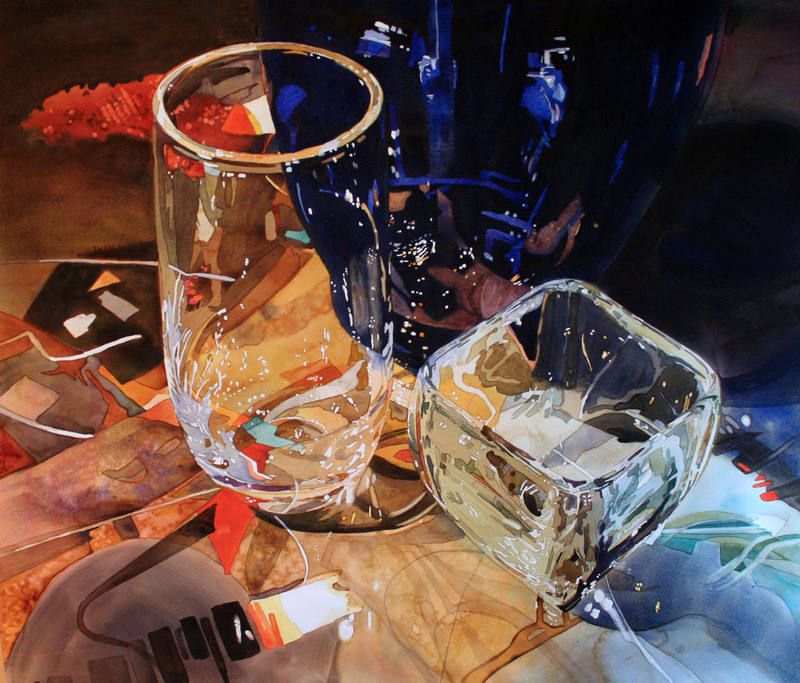 DYNAMIC POURING: My other workshop is for intermediate to advanced watercolorists. It also features the same limited palette, but we will also be incorporating acrylic paints with our watercolors in the same colors. We will be pouring and utilizing a variety of finishing techniques. 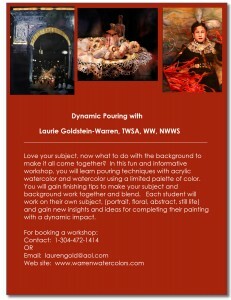 You may use any subject for this workshop, figure, still life, floral, wildlife, etc. We will all be working on different subjects. 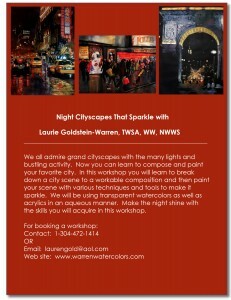 NIGHT CITYSCAPES THAT SPARKLE: My new workshop for the 2016/17 season is for intermediate to advanced watercolorists. 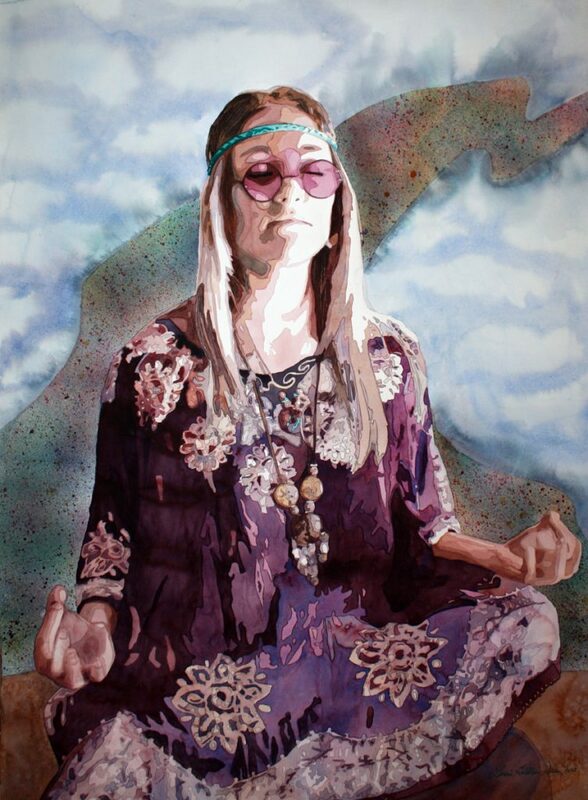 It again features my limited palette in watercolor and/or acrylic. There will be masking and pouring techniques as well as texture tools, such as the toothbrush and mouth atomizer. You can paint night scenes in the city that sparkle and shine!